The word ‘fat’ carries burdens of social, cultural and visual expectation, but also a historical one. Size is usually described in terms of bigger equating to better: from America, where the ‘Great Nation’ conveys both vast and peerless, to the Indian subcontinent, where ‘big people’ and ‘little people’ refer not necessarily to physical attributes but to wealth and social class. Our history with this nutrient, which, along with proteins and carbohydrates, represents one of the three basic elements of our diet, has evolved alongside agriculture, religion, culture, medicine and now the modern media, as Christopher E. Forth tells us in his new book. 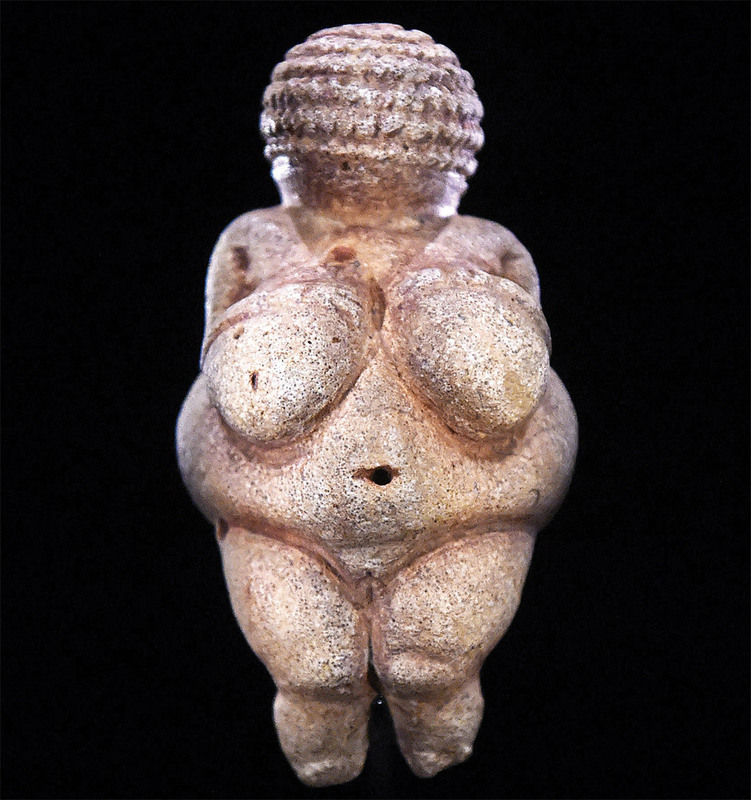 Forth examines depictions of the corpulent body, from the Upper Palaeolithic period figurine of the Venus of Willendorf dating from around 30,000 years ago, to the 20th century and the changes in attitude towards the obese body in various societies around the world. For very early peoples, using every part of the animal was essential, including breaking down carcasses to extract fatty, nutritious bone marrow and rendering as much fat as possible from kills. This tallow provided domestic light and was used in everything from making clothes to medicine. Among remaining First Nation peoples, traditions imbued the fat surrounding the internal organs, particularly the kidneys, with mystical properties. For societies living in harsh Ice Age conditions, fat was linked with, not necessarily fertility, but successful survival, and thus to be admired or even worshipped. The connection between fat and survival changed after the glaciers retreated and agrarian societies emerged. The keeping of livestock signified a shift in the way we viewed the act of becoming fat. It was a sign of abundance, but also impending doom: death for the fat beast was not far off. By the time of Socrates, fat had become indelibly linked to the organic cycle of nourishment, ripening and rot that had previously been respected, but for the Greeks and Romans, it began to represent a base life without, as Plato put it, ‘loftier aspirations’. Around this time, Forth posits, a fat body indicated the occupier’s ‘moral softness’, as seen in the contrast between the feasting, impotent, corrupt Roman statesmen and the Spartan warriors, idolised for their rigidly ascetic way of life, virility and military prowess. The emergence of Christianity in the West as the Roman Empire declined saw another shift in the way fatness was regarded. Increasingly the emphasis was on the soul and the afterlife, whereas obesity represented an earthbound, heavy and dirty quality, both undesirable and animalistic. With the Crusades came a sudden, urgent need for fit, healthy combatants and glory in the afterlife was assured to those who undertook these wars. For a population toiling in the shadow of the cyclical famines of the Middle Ages, the idea of this transportation, both physical and spiritual, was an enticing one. The Protestant Reformation further encouraged people to separate the idea of their base physical existence and the larger human form, more closely associated with earthly ties and dirt than ever before, from the perfection awaiting them in the afterlife. In 1602, the Dominican priest Tommaso Campanella suggested that cities close their gates to fat people and that children who were out of shape at 14 should be exiled. Other clerics of the same period went as far as to suggest that selective breeding could eliminate the fat from society. The Enlightenment also changed the way we viewed fat and fatness decisively. The emergence of the middle classes, with their emphasis on self-containment and self-improvement, not only separated them further from the baseness of the poor, but enclosed them within homes, estates and even clothing that served to elevate them to a higher social plain. Weights and measures became standardised, allowing people to quantify their bodies in a way impossible before. Eating ‘clean’ food was promoted as urban societies distanced themselves from the dietary and sanitary realities of large cities. Forth is particularly good on the 19th century evolution of thinking regarding Empire and the body of the Other. Increasingly, the alternative body shapes seen on other continents –especially Africa and India – were labelled morally inferior and coarse, if not repugnant, such as the ‘Hindoo’ in the 1877 novel The City of the Sun by Alexander Allardyce, ‘whose obese and greasy person was the fitting envelope of a bloated and slippery moral nature’. This is telling not only for what Western Europeans thought about others, but also about how they saw themselves. The pressure on women to be clean, lithe, physically fit and, above all, visible to the gaze, was rising, just as women were striving desperately to become more visible to society itself. The hunger strikes and force-feeding of imprisoned suffragettes mirrors starkly the fat, imprisoned women of distant harems, whose only daily purpose was to consume as much as possible and become replete and sensual through attaining what was seen as a sexually ‘desirable’ weight. The pace of change in the 20th century provides a charged ending to this informative account. The catastrophic effect of the First World War on the psyche of Western Europe and America, our relationship with the rapidly evolving world around us, as well as new technology, medicine and the demands of modern life all combined to push the West towards the relentless pursuit of the lightness of being first introduced by Plato. To be thin is to have transcended the needs of the body, to have mastered its demands for satisfaction and pleasure. Fat is a thoroughly researched and capable book, academic and rigorous in tone. This is occasionally at the cost of the bigger picture. One senses that it has been streamlined of material somewhat forcefully in places, like the dream bodies of the 20th century. It remains a timely reminder of the cycles of our organic existence in the face of ever greater outer forces. Lucy Inglis is the author of Milk of Paradise: A History of Opium (Pan Macmillan, 2018).